Welcome to South Palatinate! 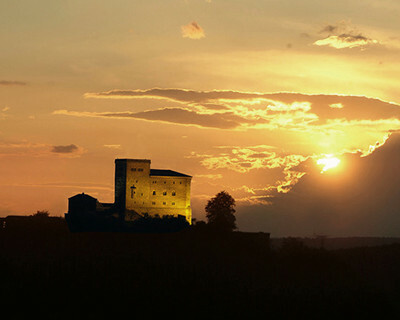 Landau is ideal for discovering the area, delightful vineyards and winegrowers’ villages. The arts, action or relaxation – what more could you ask for? 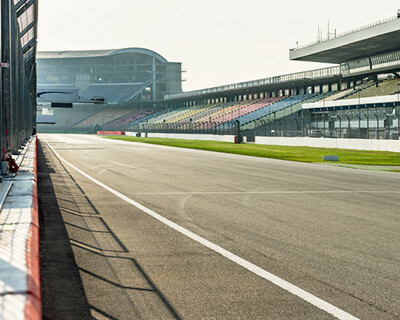 Only 40km (25 miles) from Landau is a race track that is practically home to German motorsport: the Hockenheim Ring. If the Formula 1 fraternity aren’t on the circuit, the fans take over. There are also regular tours and a museum. The more daring can hire a racing taxi or even drive a couple of circuits themselves – like Schumi in his heyday. The red devils are so much part and parcel of Kaiserslautern that the football team and its hero Fritz Walter even have their own museum in the city – but this isn’t the only reason to travel the 60km (37 miles) through the Palatinate forest. The city also offers many historical buildings and a market hall inspired by the Palazzo Medici in Florence. Karlsruhe is only 30km (19 miles) from Landau. Legend has it that Margrave Charles III fell asleep here in the 18th century and dreamt of his own new city: Karl’s repose (Karls Ruhe). 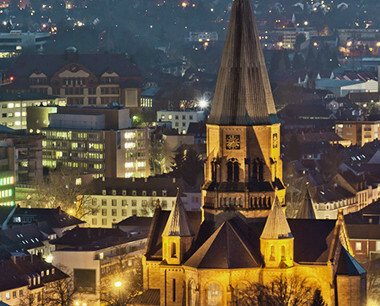 But with its baroque flair, Germany’s highest court and the expansive pedestrian area, it is certainly not a sleepy city. It takes around half an hour to reach Speyer by car or train. 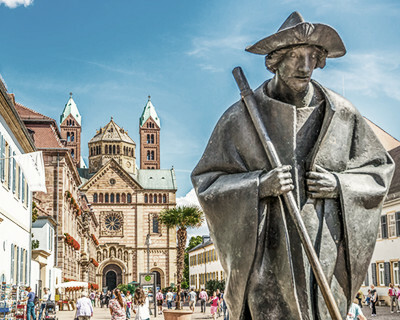 Speyer has a German and European history of 2000 years just waiting to be discovered – not forgetting the world-famous Speyer Cathedral. Speyer actually has a lot more to offer: an impressively rich Jewish heritage, the tallest church steeple in the Palatinate and the historical Altpörtel (old gate). Certainly worth a visit! 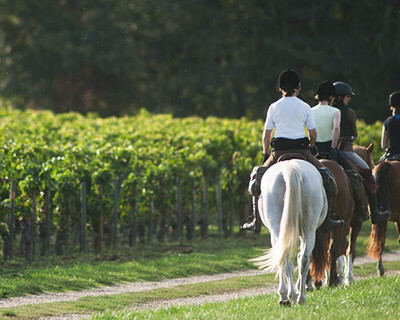 Most people come to Landau to explore the region and savour the local wine. What they should never underestimate is Landau itself! 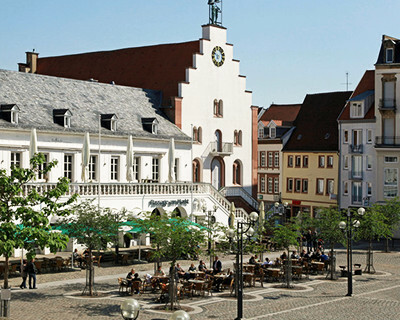 Many have fallen in love with its magnificent old town, the rampart ruins or the inspiring churches – and in the youthful, modern parts of Landau. Maybe join one of the many guided tours and discover the town for yourself? Please ask if you need help. We have so much to thank the Romans for. 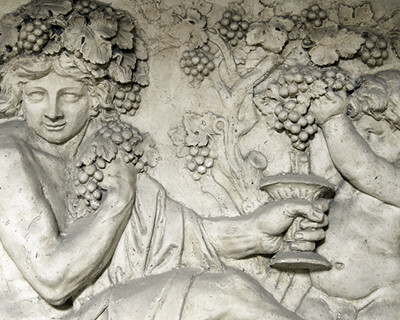 When they conquered the Germanic provinces on the Rhine 2000 years ago, they brought wine stocks with them – the origins of Pfalz viniculture. The Roman legacy is found in other places, too. For example in the Terra Sigillata Museum in Rheinzabern, 20km (12 miles) from Landau, which documents the development of the Tabernae settlement. 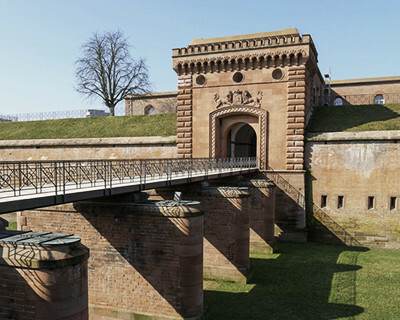 In Germersheim, only a 30-minute drive from Landau, is an imposing fort from the 19th century with a difference: it’s Bavarian. 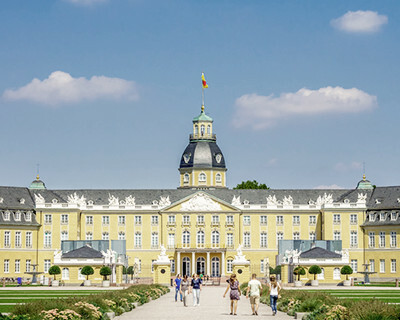 It was built by the Bavarian King Ludwig I as a stronghold against the French. In those days, the Palatinate belonged to Bavaria. Germersheim itself is also worth a visit. 45,000 people live in Landau so it has a lively arts scene. There are regular exhibitions, readings and concerts in the Villa Streccius Gallery, the Strieffler House, the Frank Loebsche House and the Altes Kaufhaus (old trading house). The art nouveau festival hall is used for classical concerts, operas, operettas, musicals and theatre plays. And on Sundays in the summer there is musical merriment in Goethepark. Only 24km (15 miles) to the south-west of Landau stands the German Wine Gate, the landmark that has become a defining feature of the Wine Route. While there, simply wander over the border to France just a stone’s throw away and discover Wissembourg, a charming town with winding alleyways, old timber frame houses, churches and a small monastery. Most people associate the Palatinate with Pfalz wine. What many don’t realise is that there’s also a strong beer brewing tradition here. There’s nothing like a cool beer in a beer garden under a chestnut tree. The local brewers include Mayers in Oggersheim, Ottersheimer Bärenbräu and Göcklinger Hausbräu – good places to observe a traditional trade at close quarters. Blood pudding sausage, meat dumplings and stuffed pig’s stomach. In the Palatinate, the people like a hearty meal. 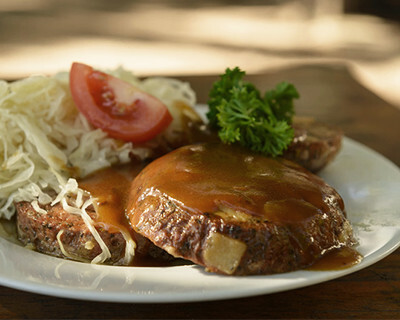 Many restaurants, pubs and wine bars serve traditional regional cuisine. The proximity to Alsace over the French border also has its influence so crispy tarte flambée is often on the menu, sometimes with plenty of bacon and onions or served with temptingly sweet apple, cinnamon and Calvados. Give it a try, you’ll love it! What better way to get to know the Palatinate and its people than to party with them? The Landau festival season starts on the last weekend in January. It then goes from fest to fest, not forgetting the pink almond blossom weeks, local markets and courtyard festivals. The season draws to a close in the late autumn. 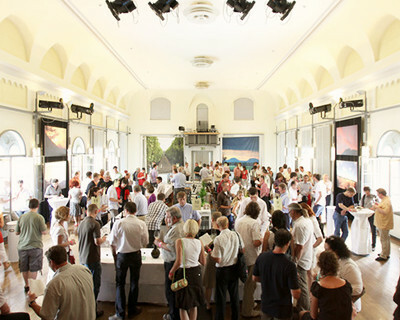 Insider tip: the Kalmitfest in Ilbesheim in July – the epitome of Palatinate partying. Still can’t decide which vineyard to visit? No worries: come to the Par Terre wine bar in Landau and try out a broad selection of Pfalz wines all under one roof. 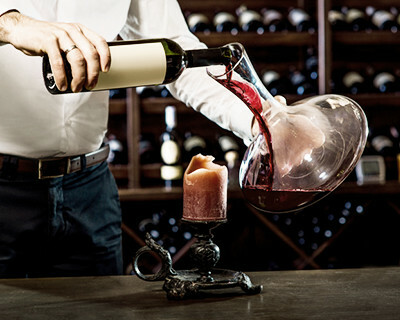 The bar offers wines of different vintners at vineyard prices. The Par Terre bar has a unique atmosphere thanks to the design by Michael Michalsky. You can’t stay in Germany’s second biggest winegrowing area and not try the wine! The vintners are always delighted to welcome you to a wine tasting and it doesn’t matter how much you know about wine. 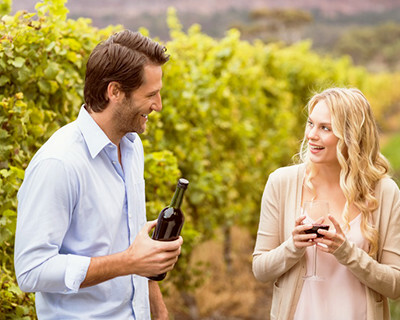 Time allowing, they may treat you to a whistlestop tour of the wine cellars or vineyard. If you need some tips, do ask. Worried about the cuisine being a bit too much for the waistline? There’s a choice of sporting activities around Landau to help with the calories – from mountain biking to golf and horseback riding. To take to the skies, book some paragliding or a glider trip. There is also rock climbing in the Palatinate Forest and a climbing hall in Landau. Do ask for more details. Afraid of heights? Out of the question in Fischbach (outside Dahn), a 50-minute drive from Landau. 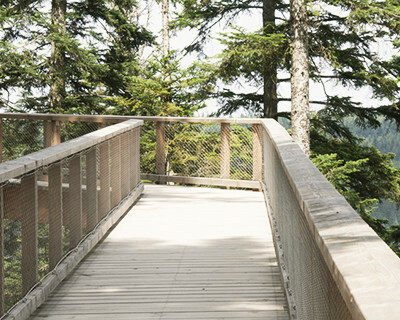 Walk through the treetops on the sturdy wooden walkway and view the woodland from above. Or for the more daring, there are rope bridges and the 40 metre (130ft) viewing tower for an unforgettable experience. 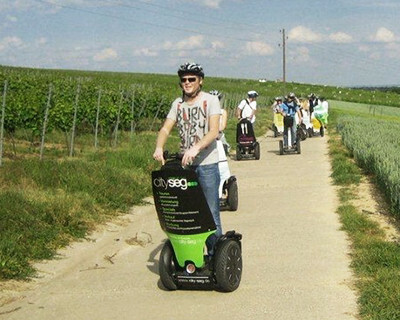 If walking is too slow for you and cycling is too strenuous, you can always explore the hills and vineyards on a Segway. 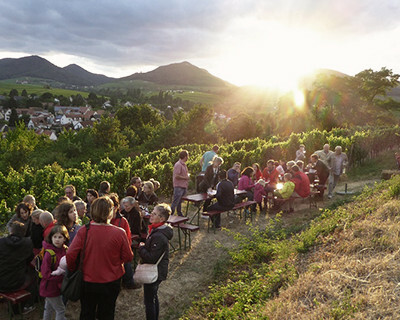 Guided tours start in Landau, with wine tastings during the journey. Do ask us to help with bookings. 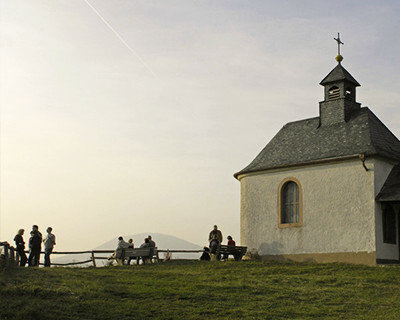 270 metres (886 ft) above sea level is enough in South Palatinate for an awe-inspiring panorama. The Kleine Kalmit is a rocky outcrop about an hour’s walk from Landau. Surrounded by wild pulsatilla, gentian and orchids, enjoy the amazing views across the Rhine Valley below. There are extensive signposted cycle path networks around Landau. 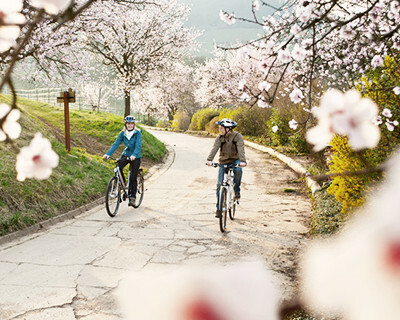 Enjoy a trip through wonderful hilly vineyards, soak in views of the Palatinate Forest and the Rhine Valley. The hills are peppered with villages enticing you to drop in and relax. 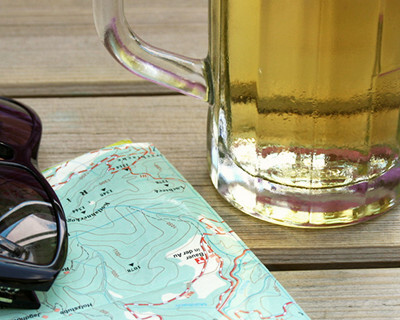 However much exercise you want, there’s plenty of variety for any kind of trip. Do ask for help with planning. Want to take some exercise or prefer to simply wind down? We have just what you’re looking for: the Bella Vitalis health spa is a mere two-minute walk from the Maximilians, offering our guests a gym (opens 6am) or a sauna (from 9am) to either relax or get plenty of exercise. Ask about reservations at the Bella Vitalis when you book a room. Discounted tickets are available at reception. 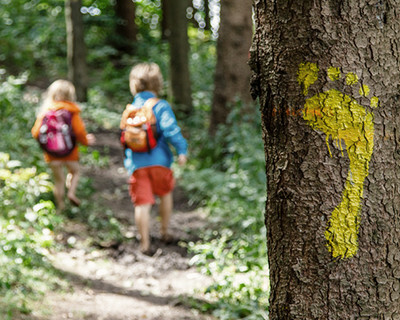 Here a country walk is an experience of the five senses. 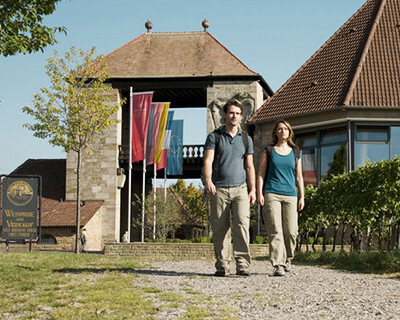 Just 20 minutes from the town centre is a ‘wine exploration walk’ in Nussdorf. 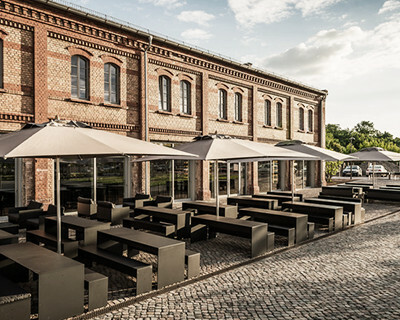 As well as interesting insights into viniculture, it has sculptures and aural installations to stimulate the senses – like the vineyard bars in Nussdorf, with their welcoming atmosphere. Just one of the many places to walk and discover the area. There are many things to discover in the South Palatinate countryside, but if you still want more, just a short walk from Landau town centre is a world brimming with exotic animals. 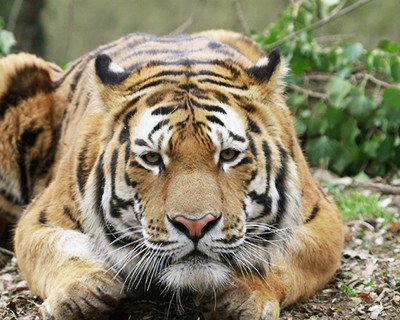 The town zoo is home to 800 animals and 125 mainly exotic species – a mini safari in the heart of the region. South Palatinate has 1800 hours of sunshine every year – plenty of time to relax outdoors and enjoy the lovely weather. 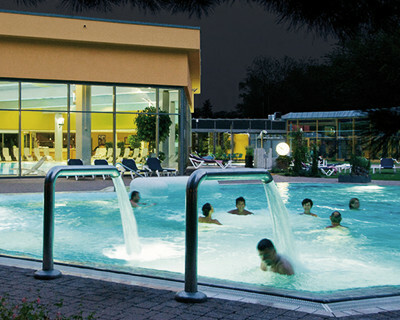 And if the weather should turn nasty, there are indoor pursuits: the La Ola baths (Landau) and the Südpfalz Spa (Bad-Bergzabern) with its thermal baths, whirlpools and sauna. Do ask if you’d like to book a beauty session. Time to take off your shoes and sense your surroundings a different way. Around 50km (30 miles) west of Landau is a stimulating place to pamper your feet. When was the last time you waded barefoot in a swamp? Or walked on gravel? Or balanced on a tree trunk without shoes?